Boeing 737 Max And FAA At Center Of Senate Hearing On Plane Crashes The aviation subcommittee held a hearing on the FAA's response to crashes in Indonesia and Ethiopia involving the 737 Max, which was subsequently grounded around the world. 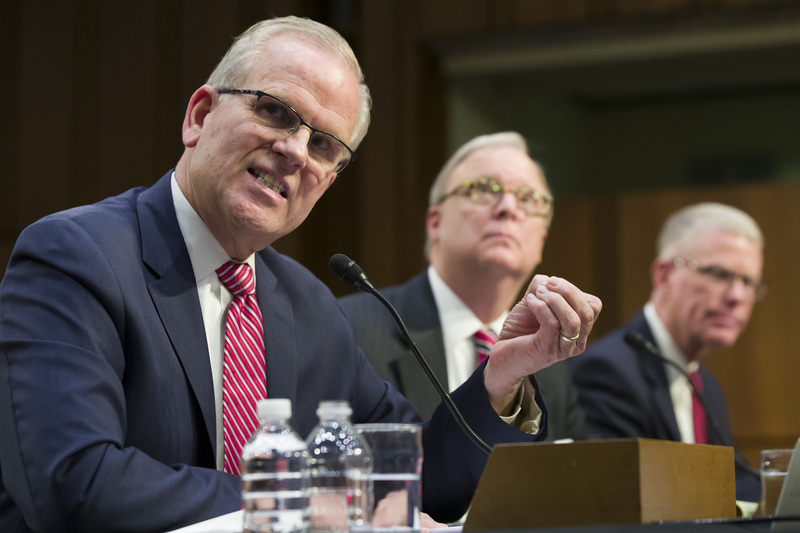 Federal Aviation Administration Acting Administrator Daniel Elwell (left), National Transportation Safety Board Chairman Robert Sumwalt, and Department of Transportation Inspector General Calvin Scovel, appear before a Senate Transportation subcommittee on commercial airline safety on Wednesday to discuss two recent Boeing 737 Max crashes. "We may have been, I think someone said, the last country to ground the aircraft but the United States and Canada were the first countries to ground the aircraft with data," Elwell told the aviation subcommittee of the Senate Commerce Committee. 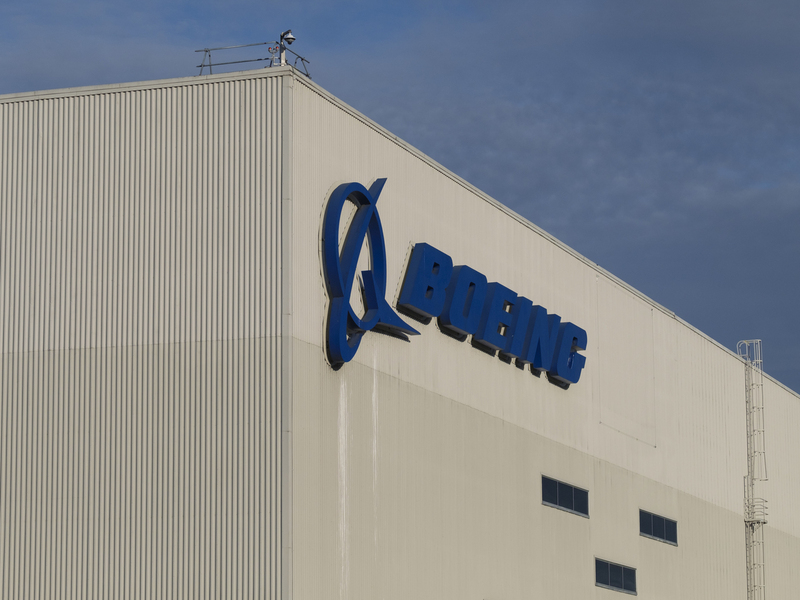 Elwell was also asked repeatedly about whether pilots were adequately trained in the use of new software installed by Boeing to stabilize the planes. Reports have indicated that the pilot in the Lion Air crash last fall struggled to keep the jet's nose from falling in the minutes before the crash. "That is not an image that instills comfort or confidence, and it does not suggest that the pilot is aware of how to adjust for the system that is adjusting the nose downward," said Republican Senator Ted Cruz of Texas, who chairs the subcommittee. Elwell said it would take time to determine why the pilots encountered difficulty. But he noted that the FAA uses a panel of pilots from around the world to test software changes on simulators. "And they fly it and are monitored by engineers and experts specifically to see if they have or notice differences in the flight characteristics, the handling characteristics of the new airplane," Elwell said. He said the panel of pilots decided no new training was needed. Elwell was also questioned by the senators about an FAA program that allows some airlines to certify changes to plane design internally. The program is under review by the Transportation Department. "Safety experts have long raised concerns that the ... program leaves the fox in charge of the hen house," wrote Democratic Sen. Richard Blumenthal of Connecticut in a March 19th letter to the Transportation Department's watchdog, the inspector general's office. In his opening remarks, Elwell defended the FAA's process for reviewing and certifying changes to plane designs, saying, "The FAA is directly involved in the testing and certification of new and novel features and technologies." These procedures are "extensive, well established and have consistently produced safe aircraft designs for decades," Elwell said.